Library administrators can view their workflows when working in the workflow configuration. 2. Select Workflows in the left panel. 3. 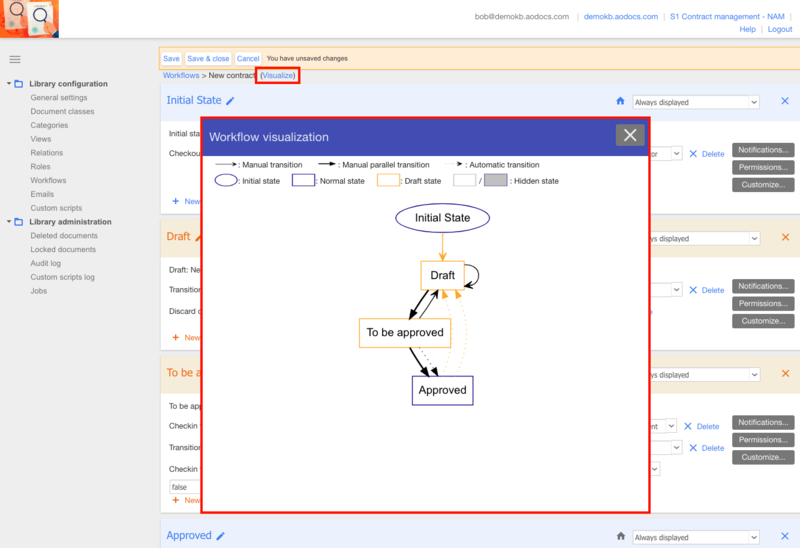 In the workflow configuration page press the Visualize button. The Workflow visualization pop-up appears showing the workflow and its transitions. 4. Press the Close button to return to the workflow configuration page.